A new ProPublica analysis shows that two-thirds of more than 6,000 rental properties receiving tax benefits from the city’s 421-a program don’t have approved applications on file and most haven’t registered apartments for rent stabilization as required by law. That allows owners to raise rents as much as they want. 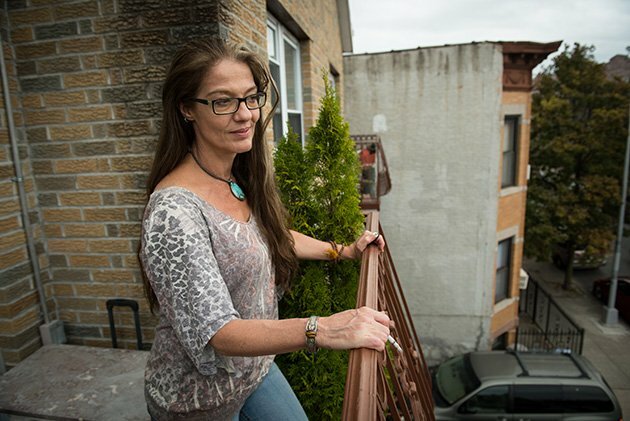 When Olga Ortiz found a large, sunny apartment on a tree-lined street in Brooklyn’s Bushwick neighborhood several years ago, she felt like she’d won the lottery. With three kids and a grandchild on the way, she and her partner needed all the space they could get. The price, $1,660 a month for three bedrooms, was a rare find in a city where housing costs were exploding. A medical assistant who earned $25,000 a year, Ortiz and her partner, then unemployed, were precariously perched on the bottom rung of New York City’s working poor. Even with help from the federal government, rent and utilities consumed nearly all of her pay, forcing her to juggle which bills to pay each month. Decades ago, New York’s political leaders concluded that people like Ortiz and her family would be pushed out of New York City if they didn’t spur the construction of more housing. And so lawmakers created a program that offered developers of new apartment buildings a break on their property taxes for as long as 25 years. In exchange, landlords were supposed to limit rent increases to modest amounts set by New York City — a process known as rent stabilization. In the years that followed, city officials have allowed that well-intentioned plan to morph into something unimaginable to its proponents: A $1.4 billion dollar-a-year giveaway that requires nothing from the vast majority of landlords whose taxes are lowered. To benefit from the program, known as 421-a, developers must go through a rigorous process involving multiple city and state agencies. They fill out an application in which they promise to register their apartments for rent stabilization. Once construction is complete, city housing officials verify that they’ve registered and issue a certificate of approval. That certificate is supposed to be filed with the city’s finance arm for the owner to get the tax break. A ProPublica analysis shows that these procedures have been routinely, consistently ignored. Nearly two-thirds of the almost 6,400 rental properties paying reduced property taxes do not have an approved application on file, the most basic step for enforcing the rules. Collectively, these landlords save about $300 million a year in property taxes without showing they’ve qualified for the tax break, ProPublica estimates. Some landlords have pocketed the tax break for more than two decades while waiting for housing officials to approve them for benefits they are already receiving. Search for your building to see if your landlord has been approved for the program and registered your building for rent stabilization, as required by law. If not, you may be paying more than you should. Learn more. While this arrangement undoubtedly helps property owners, it prevents Ortiz and thousands of tenants like her from receiving the legal protections tied to the tax relief. Most of the more than 4,000 properties without certificates of approval on file began receiving benefits before 2014, meaning they should have registered for rent stabilization as of that year. But three-fourths failed to do so, ProPublica found. Not registering allows owners to claim they can raise rents as much as they want. Many do. ProPublica’s analysis found that the vast majority of landlords ignoring the rules own smaller, three- to 10-unit properties in gentrifying neighborhoods on the city’s periphery. This finding contradicts a common misperception among city leaders that 421-a’s tenant protections only help relatively affluent people who rent luxury housing. It also means that Mayor Bill de Blasio, who has made creating and preserving affordable housing a priority, could add thousands of apartments to his tally simply by enforcing existing laws. “This is low-hanging fruit,” Rafael Espinal, a City Council member from Bushwick, said when briefed on ProPublica’s findings. The two city agencies that administer 421-a, the Department of Housing, Preservation and Development and the Department of Finance have long blamed each other for the problem. ProPublica’s examination shows both are at fault. Last year, the housing agency charged developers $27 million in fees to process 421-a applications. It spent only $560,000 to pay nine employees to do the work. Records show that applications typically sit unapproved for years, with more than 2,200 still pending from 2000 to 2010 and a handful going back to the early ‘90s. A city spokesperson said most pending applications have been reviewed, but found wanting. The housing agency “has hired and will continue to hire new staff” for its tax incentives unit, including more analysts to handle 421-a compliance issues. For its part, the Department of Finance has long allowed landlords to collect the tax break even when their applications have not been cleared by the housing agency. In rarer cases, properties have been approved and the finance agency has given the owners the tax benefits even though it has no record of receiving their certificates of approval, ProPublica found. To fix the process, de Blasio has proposed reforms that would require owners to meet all 421-a eligibility criteria before benefits are issued and set aside more units for low-income renters. 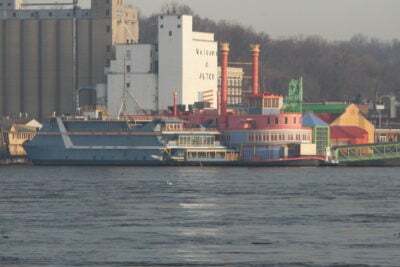 So far, the proposals have not won state lawmakers’ approval, but the mayor “absolutely will continue” to push for them, the city spokesperson said. For rental buildings already receiving benefits, the housing and finance agencies have identified owners who don’t follow the law and plan to notify them to comply or lose their benefits, the spokesperson said. The city has also combined with the state Attorney General and housing officials to crack down against scofflaw landlords. The city’s 421-a tax break requires landlords to register for rent stabilization and cap rent increases on tenants. Most property owners simply collect the benefit without honoring their side of the bargain. The result: gentrifying neighborhoods in the outer boroughs lose rent-stabilized housing that taxpayers have already paid for. Note: Rent-stabilized status is subject to change if landlords register in subsequent years. Source: Regulatory data provided by NYC Department of Finance, Department of Housing Preservation and Development and the Rent Guidelines Board. “We have no tolerance for tax cheats,” the spokesperson said. Still, the city’s systemic failure to enforce the law upended Olga Ortiz’s life. 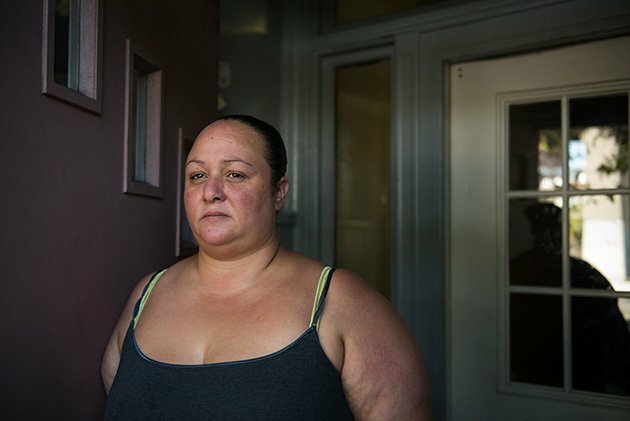 Her landlords, Long Island investors Alen Paknoush and Frank Tehrani, were saving close to $11,000 a year on their taxes through 421-a even though their application remained unapproved; they had not registered their apartments as rent stabilized despite a request from the city to do so. When Paknoush moved to raise Ortiz’s rent far more than allowed by law, she thought she had no recourse. She could not pay the higher rent, and two Housing Court judges, unaware of the building’s status, ordered her to leave. After a frantic search, Ortiz found a new place to live — a cramped apartment beneath an elevated highway in the Bronx. Now living with her young grandson, her new neighborhood came with a much higher crime rate and no kids for him to play with. “How did I get to this point?’’ Ortiz says she often asks herself. The answer is a story of a bureaucratic incompetence and indifference. A native of Puerto Rico, Ortiz moved to New York at age two in 1976. The family settled in Bushwick, where Ortiz enjoyed a childhood filled with memories of neighbors grilling together and listening to music. After returning to Puerto Rico as a teenager, she moved back to the city for good in 1998. Life had its twists: She married, had three kids, divorced, and got a job as a medical assistant at a Brooklyn clinic. She found a new partner and the couple lived together with two kids from her previous marriage and one from his. A construction job helped her partner put food on the table. 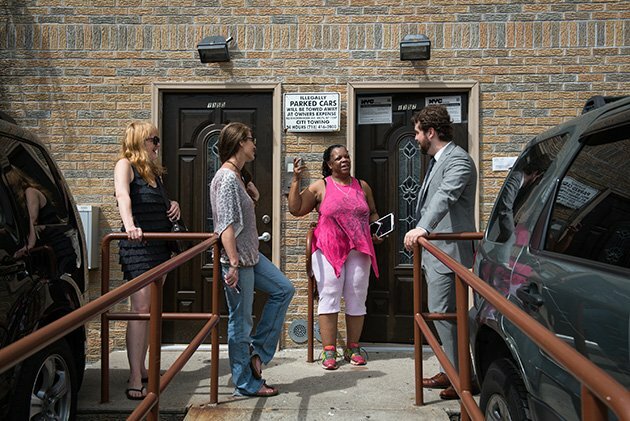 In 2009, the building she lived in on the edge of Queens got sold and the new owner decided to get rid of the tenants. After months of searching, Ortiz found the sunny apartment at 1357 Decatur Street in Bushwick — one of two adjoining three-unit buildings owned by Paknoush and Tehrani. 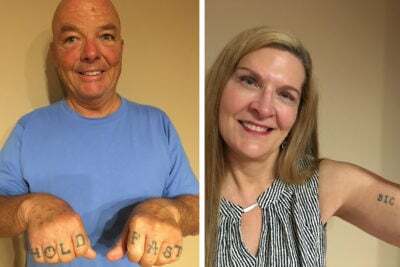 With her partner out of work — he’d lost his construction job — the $1,660 a month asking price would have been too steep for the family. But in November 2010, New York City’s housing department approved Ortiz for a $1,069-a-month Section 8 subsidy, meaning she only had to kick in $591 to afford the new place. Ortiz loved the neighborhood. Like in her childhood, kids played together outside. People knew each other by name. Even with the help of Section 8, though, it wasn’t easy to make ends meet. Her rent didn’t cover utilities, so she often paid an extra $200 a month for gas, hot water, electricity and heat. It became harder still in 2011. Ortiz and her partner separated; he and his son moved out. So did her older daughter, while the younger girl had an unexpected pregnancy and needed help supporting her baby boy. Suddenly, Ortiz became a single mother and a grandmother. There was one blessing that made life a little easier: Paknoush didn’t raise the rent that year. But by 2012, young professionals priced out of Manhattan and tonier parts of Brooklyn were pushing into Bushwick. Paknoush told Ortiz he wanted a lot more than $1,660 per month. “When you move, I can get $2,500 for that apartment,” she said Paknoush told her one day in 2012. But he didn’t give her a new lease, so Ortiz kept paying the same rent. Then, in August 2014, a new lease arrived in the mail — her first since 2010. It proposed a monthly rent of $1,900 starting Aug. 31. There was no way she could pay it. Like many lower-income tenants who live paycheck to paycheck, a rent increase of $240 a month was beyond her means. Due to her smaller family size, Ortiz’s Section 8 benefits had declined by $140 per month, making it a struggle to keep up even before Paknoush’s increase. She knew she would have to find somewhere else to live, and the thought terrified her. Each time she walked past a panhandler, her mind filled with horrifying images of what might lie ahead for her family. “I barely slept. I was constantly crying. All I thought about was, ‘I don’t want to be in the street with my grandson and my daughter,’” Ortiz recalled. She did not sign the new lease and continued to pay her share of the $1,660 rent. She said Paknoush cashed her rent checks but still moved to evict her. A court hearing was scheduled for that November. Like most tenants who end up in Housing Court, Ortiz had no lawyer and was unaware of her rights. So when Paknoush stated in his eviction petition, as he had in her lease, that her apartment was not rent-stabilized, Ortiz believed him. So did the judge, who ruled against her. “I need time to move,” Ortiz pleaded in court that day. The judge gave her until the end of the year to find an apartment and allowed her to stop paying her share of the rent during that time so she could save up for the move. She also paused her studies for a registered medical assistant license to make time for the search. She said Paknoush badgered her to leave whenever he saw her. “‘When you out? When you out? When you leaving? When you leaving? I need the apartment. I need the apartment. Give me back my apartment,’” she recalled him saying. “Well, you’re gonna have to wait,” she’d respond. By March, Ortiz had looked at more than 20 apartments with little luck. Only one landlord, in far-away Hunts Point, an industrial section of the Bronx, seemed open to renting to her. But even he was on the fence. During that time, Paknoush took Ortiz to Housing Court two more times to try to force her out. 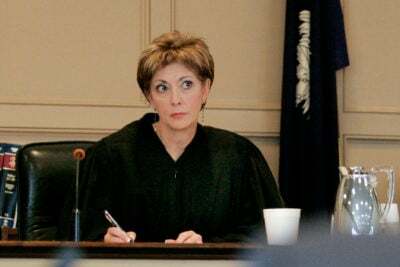 The second time, in March 2015, a different judge took up her case and decided Ortiz owed Paknoush more than $3,000 of rent that had piled up since the first judge allowed her to stop paying her portion in November. “The little bit that I have is for me to move,” Ortiz told the judge. She refused to pay the back rent; instead, she asked the city to expedite the transfer of her Section 8 benefits to the Hunts Point apartment and used the money to pay for the move. It was a nightmare that should never have happened. Paknoush and Tehrani were forgiven most of their tax bill because their two Decatur Street buildings were receiving 421-a benefits. In exchange, they were supposed to have provided rent-stabilized leases to all of their tenants and registered their apartments for oversight by the state regulator, the Division of Housing and Community Renewal. By law, increases on rent-stabilized apartments are limited to modest amounts set by New York City officials (it’s been zero percent for the past two years). Heat and hot water are required services, the cost of which can only be passed on to tenants with regulators’ permission and tenants have a right to timely repairs. Most importantly, renters have a right to know their status. If a landlord falsely claims that an apartment is not rent-stabilized, it is grounds for dismissal of an eviction case. The city’s dealings with Paknoush and Tehrani provide a telling illustration of how casually New York City enforces the rules of the 421-a program. When applications for the program remain incomplete, as they often do, the city’s housing agency does little more than send polite reminders asking for missing paperwork. Since 2011, records show, officials mailed at least 10 such notices to Paknoush and Tehrani’s representatives about their two Decatur Street buildings. One such letter from July 2015 noted that the buildings hadn’t been registered for rent stabilization since 2009 and asked them to file six years of registrations and provide proof of doing so in order to get approval for the 421-a benefit they were already receiving. There was little incentive for them to comply. The state legislature eliminated the legal penalties for failing to register back in 1993 after lobbying by landlords. For years, Paknoush and Tehrani ignored these letters and continued to charge rent under leases that explicitly stated the apartments were not rent stabilized, records show. And the tax benefits continued, as they had since 2010. Records show they bought the buildings in April of that year from the estate of Sonia Lugo, a Ridgewood resident. After she died in 2007, her family took over, renting some units while living in others, according to her son, John Rolon. Rolon said the buildings were never completed because the family’s contractor walked away from the project. That would have made the buildings ineligible for post-construction 421-a benefits, which can only start once buildings are completed. Tax bills show Rolon’s family never collected the tax benefit. But four days after the April 9, 2010 sale, the city’s housing agency received an application for the post-construction tax benefits. Signed by Lugo — who’d been dead for nearly three years — the application claimed the work was done and that all the apartments were registered for rent stabilization. Transaction records indicate otherwise. They show that Paknoush deducted $225,000 for each building to perform repairs worth about 70 percent of the cost of the building. Nor were the apartments registered for rent stabilization, records show. Yehuda Moseson, a consultant who helped Paknoush and Tehrani file the application, said he collected Lugo’s signature while she was still alive. But he could not explain the other deficiencies. “Our paperwork is only as good as the information that is provided to us,” he said. For reasons that are not clear from the available record, the city’s housing agency did not approve the application. But, under the flawed process for awarding the benefits, that didn’t stop the city’s Department of Finance from slashing the buildings’ tax bills by more than 90 percent. Tax records indicate the benefits were applied retroactively to 2008, giving Paknoush and Tehrani the savings Lugo’s family hadn’t claimed. The Department of Housing Preservation and Development said it has referred the matter to the city’s inspector general and is also conducting its own review. The discrepancies involving Paknoush and Tehrani’s Decatur Street buildings would likely have escaped public attention were it not for Lyric Thompson, a fast-talking former radio DJ who isn’t afraid to pick a fight. Ortiz had lived next door to Thompson. About six weeks after Ortiz moved out, another neighbor, Dee Sadykov, knocked on Thompson’s door in tears. She said Paknoush had texted her to say “it’s not working out between us” and asked her to move out when she demanded that he cover the plywood floorboards in her bedrooms. The floor was part of a deal she’d made with Paknoush a few months earlier, when he raised her rent by 9 percent. Her new $1,800-per-month lease included a handwritten note that said: “Floor will be done.” But the single mother of two didn’t want to lose her apartment for asking Paknoush to hold up his end of the bargain. Thompson didn’t know if there was anything Sadykov could do to avoid getting kicked out. But, having once lived in a rent-stabilized apartment, she remembered that some tenants have rights to block spurious evictions. She decided to investigate. Her first call was to the state’s Division of Housing and Community Renewal, where an official told her the building benefitted from the 421-a program, entitling tenants to various protections. To understand what that meant, Thompson looked online at a blank application for 421-a. She noticed it required landlords to sign an affidavit promising to register the apartments for rent stabilization. “Whoa! Wait a minute, we’re rent stabilized,” Thompson remembered thinking. A few days later, she texted Paknoush to ask about her $1,850-a-month lease. The $2,500 offer represented a 35 percent hike, versus the 1 percent maximum allowed by the city at the time. When Thompson pointed out her apartment was rent stabilized, Paknoush told her to check with the state and see for herself that it was not. “Don’t try to be smart with me,” he warned. Thompson was not about to accept that sort of circular logic. She kept calling the city’s Department of Housing Preservation and Development and was so insistent that she eventually got Elaine Toribio, the director of tax incentive programs, on the phone. Thompson said Toribio promised to ask Paknoush to register the apartments. 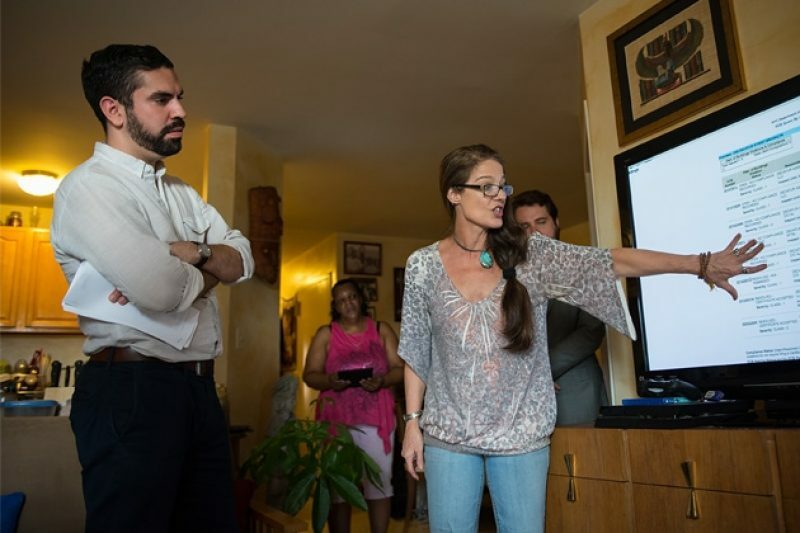 Through a spokeswoman, Toribio confirmed the conversation and said she followed up with the landlords’ representative to file the missing registrations. On July 23 and 27, 2015, the owners finally registered the apartments for rent stabilization, the spokeswoman said. By then, the two Decatur Street buildings had just entered their eighth year of a 25-year tax break under the 421-a program. Confident that she had the law on her side, Thompson organized her fellow tenants to file complaints with city and state regulators. They found plenty to complain about. Sadykov learned Paknoush had no right to threaten her with eviction simply because she had asked for her floor to be finished. Nor was her 9 percent rent hike legal. Alex Ciaramello, one of three twenty-something working professionals who moved into Ortiz’s old unit, realized that he and his roommates should not be paying $2,600 per month. Ortiz’s $1,660 rent had set a much lower base from which a legal rent increase should have been calculated. But Ciaramello didn’t find out about rent stabilization from his landlord: Instead, it was Thompson who broke the news to him when she saw him on the second-floor balcony one day. “Do you know you’re paying too much money for your apartment?” he remembered Thompson yelling to him. Then there was the question of the utility bills. The 421-a application for the buildings said the owner was covering the gas bill. In fact, tenants in both buildings had been paying for utilities. In Thompson’s lease, the standard wording that the landlord would supply “heat as required by law” was crossed out. Responding to Thompson’s complaints, various city and state agencies inspected the two buildings, issuing a flurry of violations and fines. But tenants say Paknoush and Tehrani were slow to make repairs. 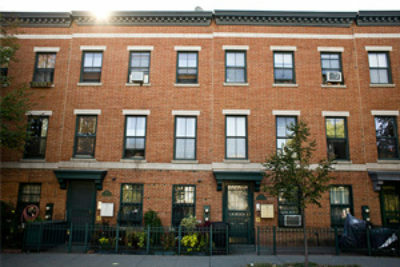 In February 2016, residents of the two buildings created a tenants’ association to pursue legal action through Brooklyn Legal Services Corporation A, which helps low-income renters. However, over the next several months their efforts and those of regulators produced little. When the tenants complained about radiators in the hallways being hooked up to their boilers, the owners simply ripped the radiators out — with the blessing of Housing Court Judge Susan Avery, who ruled that eliminating a radiator was the same as repairing it. “Rip out — get rid of them — may be a proper repair,” Avery ruled at a May hearing, according to courtroom audio. She did not respond to a request for comment. A spokesman for Housing Court said judges are ethically barred from discussing their rulings. By July, tenants of 1357 Decatur found themselves without heat, hot water or cooking gas. Meanwhile, with the rent registrations now on file, the Department of Housing Preservation and Development approved the long-stalled application for 421-a benefits for Paknoush and Tehrani’s Decatur buildings. The updated application file included a letter from Tehrani which falsely claimed that all apartments had been rent stabilized since they bought the two buildings. Copies of leases submitted to the agency simply left out the riders that asked tenants to acknowledge “tenant understands that the apartment is not rent stabilized.” That, apparently, was good enough to win approval. But one day in late July, Thompson finally had some good news to report at her monthly tenants’ association meeting. Vito Mustaciuolo, the housing department’s head of enforcement, had called her to say his agency was going to investigate Paknoush and all of his rental properties. Property records reviewed by ProPublica indicate that Paknoush and his business partners own at least 38 properties across the city, including 14 that collectively receive about $416,000 a year in tax benefits. What triggered the sudden interest? Just a few days earlier, Mayor Bill de Blasio had visited neighboring East New York for a town hall meeting. Halfway through, the mayor fielded a question from a woman with a calm demeanor and a streak of silver in her hair. “Our area is gentrifying and so last year our landlord tried to clear the building by raising the rent to $2,500,” she began. “Now, this gentleman also on our lease told us we were not rent stabilized,” she continued, asking why the city does not do more to monitor landlords. De Blasio said it was up to state lawmakers to strengthen rent laws, even though much of Thompson’s problem had been caused by the city’s lax oversight. He then passed the microphone to another official who told Thompson the city would try to help her. After the event, Mustaciuolo asked Thompson for her address. When she mentioned 1355 Decatur, Mustaciuolo said it sounded familiar, Thompson recalled. “I’ve emailed you before,” she pointed out. Thompson’s neighbors were excited that Mustaciuolo’s agency was finally going to make a serious effort to help. But their lawyer, Raphael Ruttenberg, was unimpressed. “You had to go and speak to the mayor of the largest city in North America in order to get basic services,” he said. A spokeswoman confirmed the department is now working with the state’s Division of Housing and Community Renewal to look into the issues raised by Thompson. Earlier this month, the city housing agency issued violations at both of the Decatur buildings for the ripped-out radiators. It took 42 days and a lawsuit, but the gas, heat and hot water are also back at 1357 Decatur. Still, Paknoush has yet to issue proper rent-stabilized leases to the tenants, Ruttenberg said, despite an order from the state’s Tenant Protection Unit to do so. And — disregarding the claim on his 421-a application that all apartments are and have been rent stabilized — Paknoush filed eviction cases in August and September against two tenants alleging, in capital letters, that their apartments were not rent stabilized. The tenants’ lawyers got the cases dropped based on this false claim. None of the city’s sudden focus on the troubled Decatur buildings was of any help to Olga Ortiz. Earlier this year, Thompson tracked down her phone number and called to report what she had discovered about the legal status of 1357 Decatur. “You know that this building is rent stabilized,” Thompson said. Thompson told her the remaining tenants had legal representation and were going to sue the landlords. Ortiz was staggered by what she heard. Why hadn’t anyone connected the dots? Her federal rental assistance was distributed by the same city agency, the Department of Housing Preservation and Development, that oversees 421-a. How could they not have known the building was supposed to be rent stabilized? How could Housing Court judges have ordered her out of her apartment without checking? Every day, Ortiz is reminded of how the system failed her. ProPublica is exploring New York City’s broken rent stabilization system, the tax breaks that underpin it, the regulators who look the other way and the tenants who suffer as a result. Read more. She now rents a two-bedroom apartment for $1,675, partially covered by Section 8 support, next to the Bruckner Expressway. That’s one of the many multi-lane throughways Robert Moses carved through New York City’s poorer sections decades ago. Standing outside her front door, it’s hard to carry on a conversation because of the constant buzz of traffic. Ortiz sleeps with the TV on in her bedroom to drown out the din. “It took me two months to even get used to the noise,” she said. The sound of gunshots bothers her more. A placard with the words “STOP SHOOTING START LIVING” hangs in a window nearby. Sometimes she says she spots prostitutes and drug dealers on street corners when she comes home late at night. There’s no place for her now 5-year-old grandson, Jacob, to play outside. He cried for two months when they first moved to Hunts Point, begging to go back to Bushwick. Finally, he has come to accept that’s not going to happen. An 8-year-old cocker spaniel, Binji, has helped him cope. Ortiz hopes to move someday. She doesn’t know yet where she’ll end up. She just knows it won’t be New York, a city she feels is no longer affordable for “little people” like her. “They really are pushing us out,” she said. Derek Kravitz contributed research to this report.